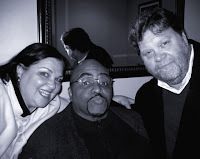 Well, the Bride and I went to see Solomon Burke last night at B.B. King's in Manhattan. If you've been around here a while, you already know that The Bishop of Soul holds a special place in our hearts. The appearance was originally billed as 'The Soul Piano Show', but somewhere along the way had been changed to the 'Thank You Americana Tour'. We weren't sure what to expect. As it turns out, his latest effort, Nashville (an album which I have grown to LOVE, by the way), has recently spent seven weeks atop the Americana Music Association's alternative radio chart. 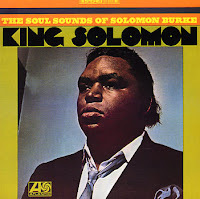 Having a number one album after fifty years in the business is indeed quite the accomplishment, and this short four date 'tour' was Solomon's way of showing his gratitude. He brought along a tight core group of 'Soul's Alive' veterans, led by his long-time guitarist and musical director Sam Mayfield. With the addition of the youngest of his 21 children, Candy, on background vocals, and a 'master of the Stratocaster' identified only as 'Guitar Jack', Solomon just rocked the house. It's hard to describe the incredible power of this man's voice in person... he hasn't lost a thing, man. If anything, I'd have to say that he sounded better than the last time I saw him a few years ago. One of the highlights of the evening was Tom T. Hall's That's How I Got To Memphis, a song which he has now, obviously, claimed as his own. 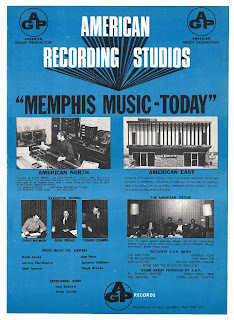 In March of 1968, Atlantic Records had sent Solomon down to Memphis along with Tom Dowd and Arif Mardin. 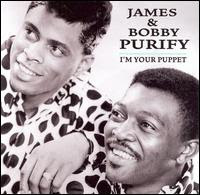 What they came up with is, in my opinion, one of the most under-appreciated gems in all of soul music. Had the album been titled 'Solomon in Memphis' or something (you know, like Dusty or Elvis) instead of I Wish I Knew maybe that would have helped. With great tunes like the one you're groovin' to now (written by Memphis' own Don Bryant), and Toussaint's Get Out Of My Life Woman on there, the record should have been huge. As it is, it had been out of print for many years before becoming available as a Japanese Import, and just recently as a partial album download on iTunes. Chips Moman had been in on the ground floor at STAX, but left after a dispute about money around the time Green Onions hit big in 1962. A lawyer friend of his suggested that he sue them, and got him an out-of-court settlement of $3000 the following year. Moman used that money to open his own studio, American, in an old Easy Way grocery store at 827 Thomas Street in Memphis. He was recording for local labels (like Pepper and Goldwax) before a song he produced, Keep On Dancing by The Gentrys, went all the way to #4 on the pop charts in September of 1965. 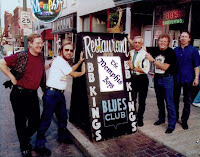 Chips plowed the money he made back into the studio, and began to gather some of the best musicians in Memphis around him. Moman's friend Tommy Cogbill was one of the first to come on board, followed shortly thererafter by guitarist Reggie Young. Young had been a member of the Bill Black Combo, and was working at Royal Studio with guys like Willie Mitchell and Ace Cannon. Jerry Wexler, who was essentially shut out of STAX by December of '65, was paying attention, and began using Moman, Cogbill, and Young on Wilson Pickett and Aretha sessions in both Muscle Shoals and New York. 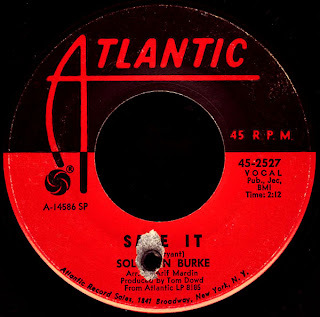 In April of 1967, he flew Chips Moman and Dan Penn up to Broadway (along with Cogbill and Young) to produce Solomon's great two-sider I Stayed Away Too Long b/w Take Me (Just As I Am). As American began to gain momentum, with hits by James & Bobby Purify and Oscar Toney Jr, Moman decided to cut out the traveling 'gun for hire' act, and told Atlantic (and everybody else) that if they wanted to use his band, they'd have to come to Memphis. One of the last (if not the last) of these 'road trip' sessions was held in New York in September of 1967 for the great King Solomon album. 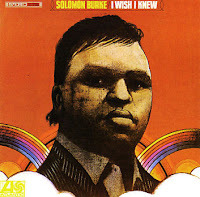 Wexler had put Tommy Cogbill together with Joe South and most of the Muscle Shoals gang to come up with yet another under-rated Solomon Burke record. Great material like It's Just A Matter Of Time and Keep A Light In The Window make this album a must-have as well (I just found out that Collectables has released a 'two-fer' CD with both King Solomon and I Wish I Knew on there... go for it). At the same time that Cogbill was recording for Atlantic up in New York, American was enjoying it's biggest chart success yet, with the Dan Penn produced The Letter spending a month at number one on the pop charts in the fall of 1967. By then, Moman had assembled the rest of his 'house band', with another Hi veteran, Bobby Emmons, on the Hammond organ and Sun studio regulars Gene Chrisman on drums and Bobby Wood on piano. When Tommy Cogbill decided to hang up his bass and become Moman's #2 man at the studio, they brought in Mike Leech to hold down the bottom. This hometown 'bunch of farmers', by then known as 'The American Group', played on a mind-boggling array of hit records for everybody from Neil Diamond to Joe Tex. Atlantic was probably their best customer, bringing Wilson Pickett, King Curtis, and The Sweet Inspirations down to the studio even before the Solomon sessions in March of 1968. That August, they recorded two of the most heralded albums to ever emanate from 827 Thomas Street, Memphis Underground and Dusty In Memphis. Without a doubt, though, the high water mark for Moman and American was the arrival of the faded Elvis in early 1969. Chips was able to cut through all the crap and find the talent that was still there underneath, handing Presley his first #1 record (Suspicious Minds) in five years. By 1972, Moman had had it with Memphis, and closed up shop, moving his whole operation to Atlanta where he 'built a studio in an industrial park' in about eight days. It closed within six months, and he and his incredible band gravitated one by one to Nashville, where they became forever known as 'Those Memphis Boys', continuing their legendary session work on countless Country records. The 'Boys' are back performing again nowadays, with some European dates scheduled for later this year, as well as an appearance at 'Elvis week' in Memphis in August. Be sure to check out their cool website, where you can buy CDs and T-Shirts and stuff. It's good to see them back together and enjoying themselves! 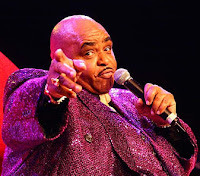 Solomon Burke, meanwhile, remains the absolute embodiment of Soul. Backstage after last night's show, he was genuinely glad to see us, and delivered a profound blessing that showed just how strong his living Gospel roots are. More than that, his words brought home even further the true and honest power behind this great music. He is, without a single doubt, our greatest living soul singer. Great article about Chips and American. 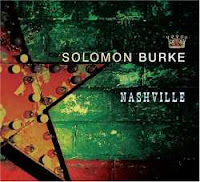 It's also great to see you guys with Solomon again :) I think Nashville was, save for The Birmingham Sound, the best CD I bought in 2006. I really wish he'd get down to Atlanta for a show so I could see him again! Once again, how cool is dat! Glad you all got re-connected with Solomon. So much great stuff went down at American. Nice piece, Red. It's official. We'll be doing Jazzfest... can't wait, yo! Great read indeed. Your readers may be interested to know that "I Wish I Knew" is available in its entirety over at Napster for peanuts. I'll check out "Nashville" on the strength of the Stepfather as well. I'm Meghan Plummer, and I'm an intern for THE OXFORD AMERICAN, a magazine of Southern music, art, and culture. I'm curious where you came across that photo of Black Haze Express. We're considering featuring them in an upcoming issue and are looking into photographs of the group. Would you please let me know where you got that photo when you can? I'd appreciate any lead you can offer. Thanks so much for your time and what you do. This is a great blog! Solomon was out of this world. I checked him out live in Spain and I was mesmerized. I was disappointed in The Memphis boys book not to find any info on the I wish I knew album.